Four beautiful plots with excellent views to the golf course and Navarino gulf, ideal for golf lovers and those who adore the tranquility of the sea. The plots are located by the Pylos – Gialova main road, each of them built up to 200sqm. Water and electricity supplies in 50m distance. The price refers to each plot separate. Gialova is a known, tοuristic area with nice restaurants, shops and coffee places. In Gialova you can play golf at the signature golf course. Pylos is only a 10′ drive where you can find all kind of services, banks, super markets, health center. 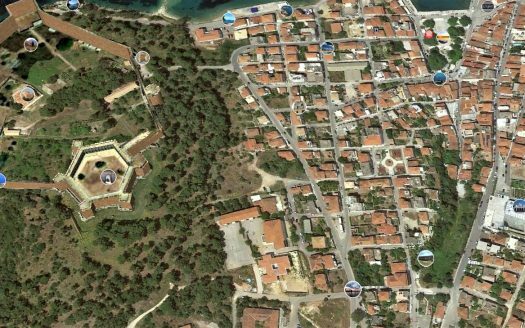 Around Gialova you can visit a number of historical monuments such as the famous Nestoras palace, the Pylos castle, Methoni castle, Pylos archaeological museum etc. The area also provides a good variety of beaches like Voidokilia, golden beach and Petrochori beach. For those who like nature, you have to go to the waterfalls of Schinolakka and Polilimnio, and the lagoons where you have the opportunity for rare species bird watching and chameleons.